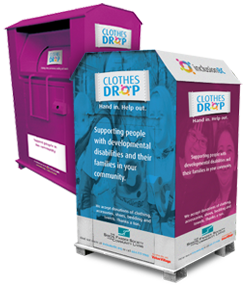 5 New Clothing Donation Bins being placed the week of May 28, 2018. New bins placed in Chase, Canoe, Grinrod, Balmoral and Salmon Arm. SACL is pleased to announce that we have achieved our 6th successful CARF Accreditation process. We are now fully accredited through June of 2020. *CARF International — A group of companies that includes CARF, CARF Canada, and CARF Europe. SACL has obtained a successful 3-year accreditation since 2005. To learn more about the accreditation process, please click here. Anytime Fitness is holding a clothing drive for the month of November. 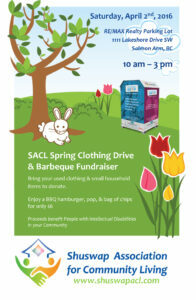 They have generously asked us to be the recipient of their clothing donations! Please contact Anytime Fitness for complete details. To view our Annual General Report, click here. 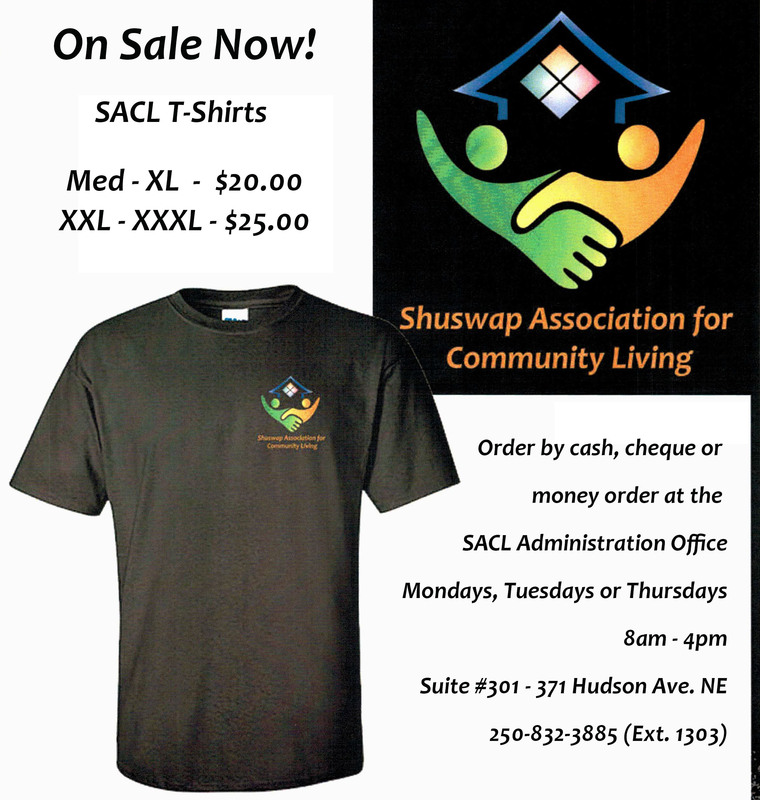 Help support people with diverse abilities in your community by purchasing one of our SACL T-shirts. These high-quality cotton T-shirts are available in black with a full colour left-chest logo. Please contact Melanie Clark at 250-832-3885 (Ext. 1303) for full details! 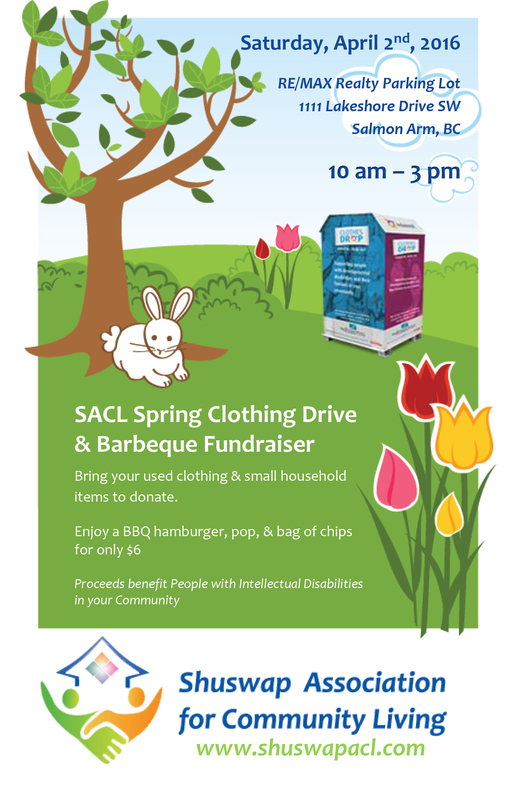 Bring your used clothing & small household items to donate. The new SACL Newsletter for December, 2016, is now available! Shuswap Connextions presents “Everyone Get Connected” Disability Film Festival on Sunday November 29th, 2015 at the Salmar Classic Theatre in Salmon Arm. 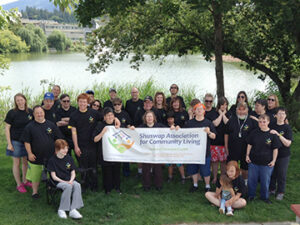 Shuswap Connextions is a self-advocacy group to promote people with and without disabilities to get together as one! Help us support Shuswap Connextions by attending this event and enjoying some of the great movies!